Up until now, we have learned how to locate an ideal affiliate network, sort out the best keywords to use, create the best types of videos for the products that we are promoting and what to do about a landing page. In this article, we will talk about search engine optimization for both the YouTube and Google search engines. Before we get into that, I would like to bump this article which I wrote a few weeks ago. It explains how and why ranking a video is easier than ranking a site for the same keyword. This is the fuel that drives this method. Rather than spending all our time of a few niche sites, we are going to be able to reel in more visitors with less work while raising our conversion rate at the same time. Put the keyword in the title. If you can manage to make it sound natural, put it in twice. For example, let’s say that my keyword is “Frisbee discount”, I could title the video “Frisbee discount: I have found a Frisbee discount for you”. It sounds award, but it helps with the rankings. Another thing that you can do is extent short tail keywords into long tail keywords. For example: the keyword “Frisbee online” can be written as “buy Frisbee online”. That is 2 keywords in one. Actually, it is 3 if you could the product name as well. You can also try to work in multiple long tails as opposed to doubling up on the main keyword. . For example, I could name my video “Buy Frisbee online – my Frisbee review”. Again, it sounds clunky but we are hitting on 4 keyword variations within the same title. That will make ranking for multiple keywords a piece of cake. We will want to add the URL at the very top of the description. Skip a few lines and write a short description to help with keyword optimization. Include your target keyword as well as any secondary keywords that you were able to squeeze in to your title. “I wanted to buy a Frisbee online and I decided to make a Frisbee Review about it”. Something like that is good enough. Also, add the URL of the YouTube video itself at the very bottom. 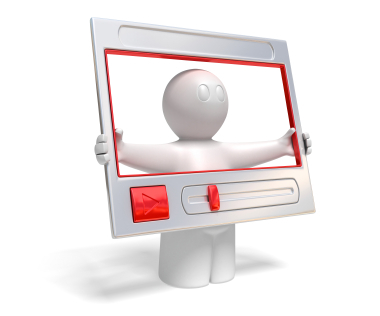 If your video is embedded by anyone, your video will receive the backlink juice to it. Steal the tags from any competing videos and add in the product name and target keywords. Keep it to 5-8 tags. Adding too many will devalue the tags. Add the most interesting thumbnail that you can. If you used a Fiverr testimonial, add the best looking image of the person. If you used a VideoScribe video, use a thumbnail that shows the hand drawing a sketch. Before uploading, rename the file to your target keyword or video title. If you can, try to sprinkle LSI keywords in the description as well. This will help YouTube and Google identify the focus of your video. That’s it for your Google and YouTube optimization strategies. That is the most you can do on page to help your video rank in the search engines…Or is it? In the next article, you will find out what I mean by that. Cliff hanger!